In this excerpt from the anthology Come Here Often?, Craig Finn of The Hold Steady shares his favorite Minneapolis music venue from his younger days. The book, published by Black Balloon Publishing, also includes stories from Andrew W.K., Rosie Schaap, Jim Shepard, Alissa Nutting, Duff McKagan, Laura Lippman, Darin Strauss, and many others. I like Apple products. I own a MacBook, an iPad, an iPod, and an iPhone. However, there is a particular Apple Store that makes me sneer when I walk by. It is located at 3018 Hennepin Avenue in the Uptown area of Minneapolis. It is a predictably sleek Apple Store. It has smart displays of their newest products. I’m sure the service is very good. But it occupies the space that, for many years, was The Uptown Bar. I know the Apple Store didn’t push them out exactly, but they represent something that did, and I need someone to blame. There are many bars I love. In Manhattan, I love HiFi. In Brooklyn, I love the Pencil Factory and Lake Street. In London, I love Quinn’s. In Leeds, I love Mojo. I love First Avenue in Minneapolis like a brother, but in my mind that’s a club more than it is a bar. In modern day Minneapolis I love the Triple Rock and Grumpy’s. But in my lifetime, and in my memories, my all-time favorite bar was The Uptown Bar. As a kid we used to go to the Uptown area just for something to do. I lived in a nearby suburb and it took about fifteen minutes to get there by car. Once parked we would walk around, check out the preening punks in front of McDonald’s, poke through records in various stores, or watch street musicians. Sooner or later we’d cross over Lake on Hennepin and slow our walk to look in the darkened front windows of the Uptown. It was beery and mysterious to us, all smoke and neon. There was a stage on the far wall and sometimes a band might be setting up. The Uptown was a bar and thus it was always 21 and over to get in. This was massively frustrating to me because I loved music. The Uptown had music seven nights a week. First Avenue, the legendary club downtown, had a lot of shows that I couldn’t get into due to age, but they did have some all-ages shows. The Uptown was completely off-limits, so it seemed extra interesting to me. Also, I had read articles in City Pages, Minneapolis’s free alternative weekly, mentioning that members of the Replacements and Soul Asylum drank there. It sounded to me like it was a clubhouse for Minneapolis rock royalty. I had a rock gig flyer collection that covered the walls of my bedroom. Many of the advertised shows had taken place at the Uptown, but I was unable to get past the doorman. Each week I would look at the Uptown’s show calendar in City Pages. The shows would taunt me: local favorites like Arcwelder and Babes in Toyland played there but also hip touring bands like Nirvana and The Flaming Lips. Minneapolis at the time had a thriving music scene, but it was all a little older than me and a bit out of reach. I was pretty sure I was really missing out on all the amazing stuff that happened at the Uptown. Finally I realized that the place was not just a bar but a restaurant. To feel a little closer to the action a friend and I met there for breakfast one day. It was not the same as rocking out to a flannel shirt with a Grain Belt in your hand, but it was something. We could get inside and feel some part of the scene. The restaurant was slammed. Breakfast was popular at the Uptown. The food was pretty good and the portions were huge. HUGE. The hash browns on my plate were roughly the size of a football. It was especially good if you were just going to eat one meal that day, which was likely for many patrons. The crowd was mixed: some older folks, but mostly hungover artist and rock-and-roll types. There were no children there. Most people were washing their food down with Bloody Marys, which the bar boasted were the best in Minneapolis. The Bloody Marys came in a souvenir pint glass that said Uptown Bar. While we were too young to be served alcoholic beverages, we did negotiate two of those pint glasses from the waitress. From our booth, I took stock. There was a front room with a rectangular bar and some TVs. Elevated booths lined one side. Beer signs hung on the walls. In the other room were more booths and tables. There were even tables on the stage, and the waitresses walked up and down the stage steps to serve food to the diners seated there. So now I had entered the building at least. It didn’t quite feel like I had really “done” the Uptown given the absence of rock and roll and booze, but it was a start. In 1989, I left Minneapolis to go to school in Boston. My sophomore year, I got a pretty terrible fake ID, but it worked at a bunch of places in Boston. When I went back to Minneapolis that summer it worked even better. But I was scared of using it at music venues, as I had heard their doormen were tougher on fake IDs. Eventually, I worked up the balls to try my luck at the Uptown. I went alone. I walked up to the bouncer and handed him my ID. He looked like he didn’t really buy it, but after a few seconds he handed it back and motioned me inside. I was in. Free to drink, free to rock, free to mingle with the rock-and-roll people that were suddenly within reach. I walked to the bar and got a pint of Leinenkugel’s. It was the cheapest draft, and the first of very many pints of Leinenkugel’s that I would drink over the years at the Uptown. I walked around the place, expecting at any moment that the bouncer would change his mind and come kick me out. A band played. It was a historically uneventful group but at the time it sounded fantastic. I had another beer and then called it a night. I was driving, and I didn’t want to ruin a good thing. I went back a few times that summer, always alone. While I had gained access, I didn’t really have a lot of people to talk to. Still, I was able to grasp what was special about the Uptown: It was not a rock club so much as a neighborhood bar for people who loved rock-and-roll. There was a cast of regulars that you’d see each time you went. Guys in dirty suits, spiky hair, weird-framed glasses. It wasn’t unusual to see Bob Stinson or Dave Pirner saddled up to the bar. There were also a lot of older regulars, people who liked the food or drinks or conversation. It was conveniently located for a lot of people. It was a meeting place, somewhere you could stop in and see if anyone was there you knew. You didn’t have to make plans to meet at the Uptown, you just went. That said, I just went and didn’t know anyone, so would mainly just quietly nurse my drink in the corner. It struck me that summer that one thing that made the Uptown especially unique was good live music, but no cover, at least on weeknights. On weekends you might pay $3 or $5 to get in to see one of the bigger local headliners like Cows or Run Westy Run, but mostly there was no cover charge. Bands were paid off the bar receipts rather than a cover, so there was very little risk as a music lover. You could just pop in, grab a beer and poke your head in the other room to see if the band was to your liking. 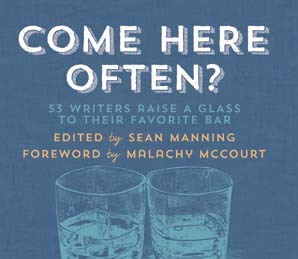 If not, you could spend the evening drinking in the room with the bar, where it was quiet enough to have a conversation. This no cover situation at the Uptown was a huge reason the music scene flourished in Minneapolis in the 80s and 90s. It was a great bar to hang out at, and as a bonus you might catch a cool band you’d never heard of before. The following summer I came back to Minneapolis with an even better fake ID. It was an actual Minnesota driver’s license passed down by a friend’s older brother. He was old enough to drink but not too much older than me. The photo looked a lot like me, and I even had his college ID as backup. The guy was named John Miller, and I practiced answering to that. I went to the Uptown a ton that summer, at least four times a week. The doorman started saying “Hey, John” when he’d see me, and I stopped having to show ID at all. I was interning at a local record label and made a bunch of cool new friends. Most of them lived walking distance from the Uptown, and we met there after work. I even got friendly with a few bartenders. I felt a part of it. I saw Pavement play at the Uptown that summer, along with a hundred other great bands. Leinenkugel’s were $1.90 a pint, and a few more quarters made a tip. It was glorious. At the end of the summer came my 21st birthday. My parents took me and three friends to dinner at a downtown steakhouse and then we went over to the Uptown for drinks. I didn’t even have a beer at dinner because I wanted my first legal drink to be at the Uptown. He smiled, figuring out the joke. “Hey, Craig,” he said and handed it back to me. I was in and it was legal. My friends and I drank a bunch of beers and a few people, including the drummer of Soul Asylum, bought me shots. I was to head back to college the next day and I didn’t want to go. My summer had ended at the Uptown in a perfect way. After graduation I left Boston and returned to Minneapolis. I got an apartment in the Uptown area and went about my goal of finding a job and starting a band. I did both but also found time to hit the Uptown four nights a week. Sometimes I would get a bit tipsy and get up the courage to go introduce myself to someone cool from a band or label. I found that if you complimented them furiously, they usually were pretty willing to talk to you for a while. My band Lifter Puller got a demo tape together and we played our first show at the Uptown. It went fantastic and we were asked to play again. It was easy to get people to come check it out with no cover charge. A few months later I walked into the Uptown hoping to catch a band from Seattle called Steel Wool. When I walked into the bar I noticed a big crowd around the TV in the front room, but no one in the band room. I expected to find a down-to-the-wire NBA playoff game, but instead saw a white Ford Bronco cruising down a Los Angeles highway. That is one of my most memorable evenings at the Uptown, all of us watching that strange American history unfold while sipping at our Leinenkugel’s. Another memorable evening was seeing Guided by Voices there when they played Minneapolis for the first time. It was predictably great. I saw a lot of other great bands and some mediocre ones too. I went to some birthday parties there. I went to some going away parties there. I slid into the vinyl booths and my shoes stuck to the floor. On big snowfalls we would bundle up and make our way to the Uptown, trudging through huge snowdrifts. When we got there it would be steamy and loud and welcoming. Those snowy trips to the Uptown were some of the best nights of each year. The bar brought me great joy as well as some crushing hangovers. A few hours later I chased many of those hangovers away with hash browns and Bloody Marys in the same place. In 1996, the Uptown stopped doing music, or at least music in the way we knew it — forgoing rock-and-roll for more upscale local blues and jazz combos. The bar stayed open but without the rock-and-roll traffic, I didn’t go too much. In 2000, I moved to NYC and I’m pretty sure I only visited the Uptown once after that. But it wasn’t just the bar that changed — I changed too. When I went home I wasn’t looking for a scene much anymore. Instead, I was trying to stay inside, recuperate from touring, and see the family and friends that I had grown up with, unbothered. The Uptown neighborhood was getting nice and then nicer still. Rents went up and big-brand stores became tenants. There used to be a head shop next door to the Uptown. That is now an Urban Outfitters. That is all fine and normal. When The Uptown Bar finally closed for good in 2009, much was said in eulogy. In the Minneapolis Star Tribune, someone commented that the Uptown was like a rock-and-roll Cheers: somewhere you could go where everyone knew your name. That sounded about right to me. While certainly everyone didn’t know my name there, some people did, and I was at the age when that mattered the most to me.